How To Keep Google AdSense Account Safe From Disabled? Home > Blogging > How To Keep Google AdSense Account Safe From Disabled? No matter how many Google AdSense alternatives are available but as a blogger I always like AdSense for its best and highest paying ad serving. 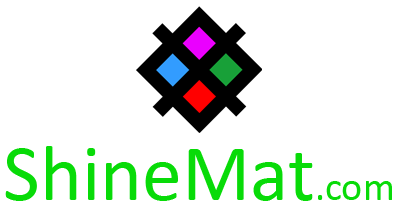 In ShineMat I already published several quality posts about AdSense and as I said in my all previous posts that Google AdSense teams are very hard about their terms and conditions. So, before you use AdSense you must know about their Adsense ToS to not get your active AdSense account banned. Remember, if you get banned one time you will not be able to open new AdSense account and if you are looking for how to get unbanned from Google AdSense then it is totally depends on your luck. Good to know that most publishers get their AdSense account blocked for publishing low quality contents and invalid click activity. So, instead of searching how to recover Adsense account, try to be safe. RECOMMENDED: How To Find Low Quality Content And Fix Them? Here I will share top 20 mistakes you should never do to keep your AdSense account safe. It is the very common issue for what most AdSense account get banned. So, never ask your friends, relatives, social media friends, persons who live abroad to click on your AdSense ads. Also never try to be smart by using IP hider or IP changer. Remember, Google is smarter than you. If you do one of them to get rich quickly, Google will kick out from AdSense family by disabling your dreamed AdSense account. NOTE: You can easily submit invalid click adsense appeal form here if your AdSense account disabled invalid click activity. Never try to customize, altered or apply any custom design your ad code. Also, never try to build a link with AdSense ad link URL. It is mandatory to implement your AdSense ad code as you copied from ad unit dashboard. That’s the very important fact for a blog. Without publishing quality contents your AdSense is nothing at all. Because as internet says, Content is king. So, avoid publishing low quality blog posts. Never compromised with your contents to make it better otherwise you'll say "why was my adsense account cancelled". SEE ALSO: Why You Should Publish Posts Daily? Google loves a clean and SEO friendly website. Your site or blog should not contain any links that is pointing to any harmful sites. Harmful means, gambling, adult, malware, crack serial keygen, torrent, sexual etc. If you are unsure and need to point a link to harmful site you can add rel=”nofollow” tag. MUST LEARN: Why And How to Add Nofollow Tag To A Link For SEO? Never publish any violating, abuse or sensitive blog posts which can be hurt directly, non-directly, religiously or emotionally. Also avoid adult related blog posts. Google always love organic traffic (search traffic). Only search traffic can gives you targeted traffic where paid traffic can’t do. So, if you buy traffic for your blog, you will be a victim of banned AdSense user. Just before a day of writing this post I have customized 50+ 404 error pages and removed over 700+ useless comments and bad hosted links. Actually it was a massive figure and these were killing my blog day by day. So, make sure you are caring about your all internal links. Try to get ZERO error pages on your blog. It will helps. Never place any name at the top of your Google AdSense code like “Sponsored Links”, “Our Partner Links”, “Click Here” etc. Just leave it empty. Don’t try to encourage peoples to click on your ads in any ways. Sticky widget is a type of floating box which will be fixed in a zone even you scroll your blog up to down. If you install your AdSense ad on a sticky widget then you are at risk. Do not try to show your ads forcefully to audience. AdSense has a list of supported languages. It is very important to make sure the blog’s primary language is AdSense supported. Otherwise they will simply close your account. If you want to know which languages AdSense allows you can check them from the link below. READ: Which Languages Google Adsense Supports? Do not use any translator widget even Google translator plugin in your blog. Using this widget will decrease AdSense ad serving performance and also your readers will not see quality targeted ads on your blog. Don’t dare to send Google AdSense ads with your newsletter to your email subscribers and strangers. This is absolutely violate AdSense ToS. Using paid traffic tools will ban your AdSense account surely. Google AdSense teams love organic traffic. Apply latest SEO techniques to earn quality search traffic. AdSense is very familiar with its users. That’s why they offer various ads showing opportunities from other ad networks like buysellads.com. So, avoid using non authorized ad networks to not get your AdSense account banned. Do not make your blog a fish market of AdSense ad units. Use standard ad placement sections according to Google AdSense Ad placement policies. If you sell or share templates or any web designed pages, do not insert your AdSense ad codes into it. It is like sending ad code in emails. If someone use your shared template to a blog that share pornographic then your AdSense account will ban instantly. Did you know, AdSense code can be steal. To stop misusing of your AdSense ad codes you must enable site authorization filter from your AdSense account. SEE THIS: Why And How To Use Site Authorization In Google AdSense? VPN means Virtual Private Network. It is just like IP hiding software. If you think you will use VPN server and generate clicks on your ads and Google can’t identify you then you are a biggest fool. Do it if you want to ban your account. READ THIS TOO: How To Setup Virtual Private Network (VPN) On iPhone? Some people use open source software and browser based toolbar to show their AdSense ads. Remember, never install your AdSense ad code into any software body and toolbar. Google allows AdSense for blog, website and mobile apps. So, do not try to place your AdSense ads in any software interface or dashboard. Avoid putting Google AdSense ads on CONTACT PAGES, ADVERTISE PAGES, ABOUT, PRIVACY, TEAM etc. pages. Because these pages does not contain any types of user friendly information that peoples looking online. That’s all you need to follow to keep your AdSense account safe. Actually there are several conditions available in AdSense ToS, but if you follow and monitor your account based on these 20 points I am sure your "Google AdSense" account will never get banned. At last, wish you all the best for your AdSense income. If you have any minor problems you can ask me anytime without any hesitation. Kindly share and comment below. Stay well and remember me in your prayers. Allah Hefez.